Customer tags can be used to track how people are finding out about your gym, in addition to grouping customers by categories (if applicable). When you add a new customer, you are prompted to assign a tag tracking the customer source. Once the customer is created, here’s how to add and edit a tag on a customer’s profile. 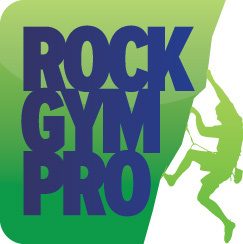 You can review the customer’s email history from several different places in Rock Gym Pro by double clicking on the customer’s name. This will bring up the View and Edit Customer window. Click the Add Tag button to add an additional tag. If you wish to edit the original tag select it and click the Edit Tag button. Choose the new tag and click OK.
To delete a tag select it and click the Delete Tag button. Once you are finished working with the tags click OK to save. Updating the Defaults: Go to Data Entry -> Manage -> Tags -> New Customer Tags. If you consistently find your staff entering one particularly source manually, then you’ll want to add it to the default source list. A report is available called Tags – Customer Count and Sales that will display how many customers from each source were added within a specific date range. This report will also give you sales generated from customers with the specific sources.